(Recto, print) lower center, below image, in black ink: "Close No. 37 High Street, 1868." Two young women stand halfway down a narrow close facing the camera. 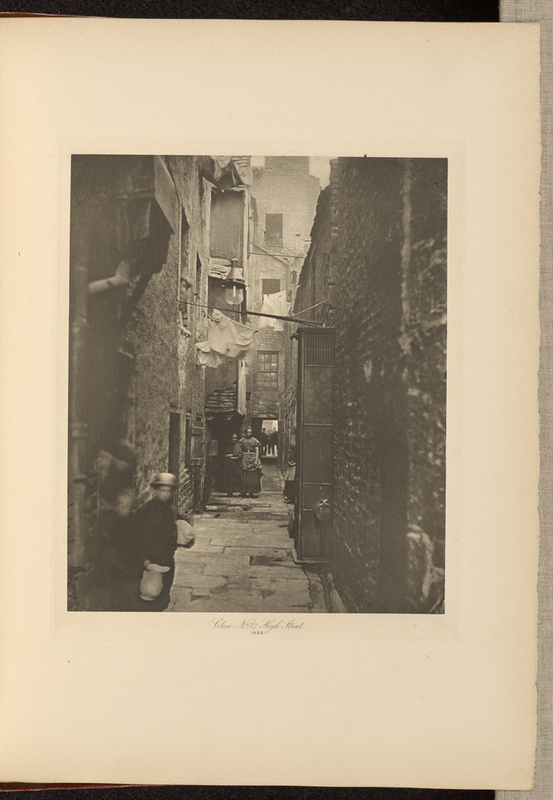 A young boy looks on from a doorway on the left side of the passage while carrying a white pitcher. Washing lines hang above their heads along the close.